Bearing problems are the greatest single contributing factor in motor failure. Often motor damage happens before bearing wear is noticeable. To avoid expensive repairs and costly downtime, early detection is essential. Proper installation of replacement bearings and correct lubrication are critical. It is well known that insufficient lubrication brings early bearing failure, but many maintenance workers are unaware that over-lubrication also shortens bearing life. When too much grease has been forced through a fitting, the motor must work harder to make bearing components move through the lubricant. Abnormal friction and pressure raise the temperature, which degrades the lubricant. Additionally, excess grease can be expelled inside the motor enclosure and find its way into the windings, damaging insulation. Another factor in rapid bearing wear is shaft voltage/bearing current. This arises most often in ac induction motors run in conjunction with VFDs (variable frequency drives) but also takes place, though less frequently, in dc and synchronous ac motors. Shaft circulating currents arise from small differences in the magnetic paths through the stator and rotor iron which generate small voltages between the ends of the shaft as the motor rotates. Some motor makers use insulated bearings to interrupt the path for circulating currents. Circulating currents may also arise if the shaft becomes magnetized. You might wonder how a VFD could play a role in premature bearing wear and failure. A VFD takes utility ac and creates a variable duty-cycle pulse resembling a square wave. A low-amplitude pulse from the controller is applied to insulated gate bipolar transistors (IGBTs). These switching devices (six in a three-phase motor) supply high-voltage, high-current pulses to power the motor. The fast rise and fall times are high-frequency pulses. They cause voltage pulses to fly across insulating barriers within the motor because of low capacitive reactance, diverting current through the bearing to the enclosure and then to ground. VFDs also create common-mode current, which travels to the motor via the cable. The IGBTs, because of their fast switching rates, produce voltage spikes that charge capacitive elements within the cable and motor. Seeking ground, they discharge through the bearing. This discharge causes fluting, scoring, cracks and fractures. Of course, the damage is cumulative. An early symptom is frosting of the otherwise polished metal surfaces. Also, the grease darkens prematurely from an accumulation of burnt particles. • Low-frequency circulating currents do not leave the shaft and go to ground. A type of common-mode current, they are induced in the air gap between stator and rotor and follow a path through the motor frame and motor bearings, bypassing the shaft. • High-frequency shaft grounding currents pass through the shaft and go to ground via driven equipment such as an elevator hoist. • Capacitive discharge currents cross the air gap between stator and rotor, pass through the bearing and go to ground through the shaft. A mechanic’s stethoscope, available for under $10 at Amazon.com, will detect a worn bearing before the motor is damaged. Both bearings should be immediately replaced and the bearing current eliminated. The way to begin is to detect and measure the bearing current to determine if that is actually the problem. The Aegis shaft voltage tester bundle. rotating shaft. The Fluke 190-204 ScopeMeter with an AEGIS shaft voltage probe works better than a digital multimeter in this application. The high bandwidth and fast sampling rate will detect the presence of shaft voltage and determine whether it is high enough to cause arcing through the bearing grease. This equipment is not required to measure the first of the three types of bearing current listed above, because it does not pass through the shaft. Motors powered by a utility sine wave usually exhibit shaft voltage in the 1 to 2-V neighborhood. When a VFD with rapidly switching pulses enters the picture, you may measure 8 to 15 V, enough to arc through grease and cause early bearing failure. The Fluke VPS420-R voltage probe set. Measuring shaft voltage on a powerful motor while it is running can be problematic if not dangerous. The VPS420-R shaft voltage probe interfaces with the shaft, connecting to the meter by means of a small conductive carbon brush that rides on the spinning shaft. For this measurement, clip the ground return lead to the motor enclosure. Also, an i400s current probe can be clamped over one of the conductors running from VFD to motor. A Fluke 190-104 ScopeMeter test tool. 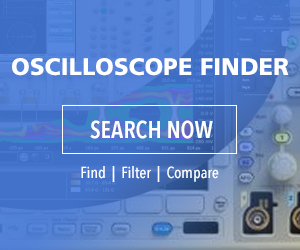 The Fluke ScopeMeter is capable of Connect-And-View automatic triggering, which displays any relevant signal, and ScopeRecord, which stores waveforms in the instrument’s memory so they can be saved, analyzed and sent to colleagues. The ScopeMeter’s isolated channels permit the user to view simultaneously current and voltage. For preventive maintenance, there are also non-intrusive tests that can often take place with the motor running and in service. One is vibration spectrum analysis. A steady vibration modulated by periodic spikes, for example, is characteristic of fluting in a bearing. When symptoms appear, the bearings should be replaced. Shaft voltage and bearing current can be eliminated by creating a jumper around the bearing — that is between the motor enclosure, which is at ground potential, and the shaft. The problem with this method is that the shaft is rotating, so contact must take place by means of a conductive brush, which is subject to wear and could fail. The other method is by installing CoolBlue common-mode chokes, also known as inductive absorbers. They last indefinitely and are easily installed by disconnecting power cables, slipping the chokes over them, and re-attaching cables. (For details, see www.Coolblue-mhw.com). Vibration analysis consists of taking baseline readings when a new motor goes in service and comparing them to subsequent periodic readings. Damaging trends can be detected and corrective measures taken before failure or expensive repairs and downtime result. The rationale for vibration analysis is that it is an early indicator of the health of rotating machinery, especially large electrical motors. Vibration data is gathered by either of two methods. It can be measured at the rotating shaft relative to the enclosure or at the enclosure relative to an absolute reference such as the building’s structural steel. Two proximity probes are used, one at each location. Vibration analysis is particularly useful in detecting stator faults, which otherwise cannot be detected without motor teardown. In a large motor, especially when starting or decelerating rapidly, the stator coils see great stress. Their mounts can deform enough to let the stator touch the rotor, damaging both sections. Also, considerable heat rise can be present. Field vibration analysis can take place using a portable instrument that identifies vibrations and displays their waveforms, showing frequency and amplitude. The Fluke 810 Vibration Tester checks rotating machinery for unbalance, looseness, misalignment and bearing failure. It works for motor rotational speeds of 200 to 12,000 RPM. Diagnosis details include plain text readout, fault severity (slight, moderate, serious and extreme), repair details, cited peaks and spectra. The instrument is autoranging. It has four channels, 24 bit. The usable bandwidth is 2.5 to 50 kHz. The dynamic range is 128 dB with 100-dB signal-to-noise ratio. The FFT resolution is 100. Non-volatile memory consists of SD memory card, 2 GB internal plus a user-accessible slot for additional storage. And it is priced at just under $10,000.